About meI have been in education for years, teaching Prekindergarten, Kindergarten, second, third, fourth, fifth grade and high school. 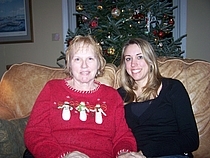 In 2007 I left my beloved South Carolina to return to my home state of Maryland to care for my mother who has Alzheimer's. I love to read and collect books about the Reformation. I am now teaching 11th grade Omnibus and 10th grade Rhetoric for a classical tutorial. About my libraryI have a lot of old children serials which I have collected since a child. I also have a lot of student readers, etc including some from my grandmother and father. I started becoming very interested in the Reformation about ten years ago and have collected many books since then. As an elementary teachers I have had lots of books but with moving I have packed most and only had some of my books cataloged.